This demographic shift has led to the second discussion of delivery systems. 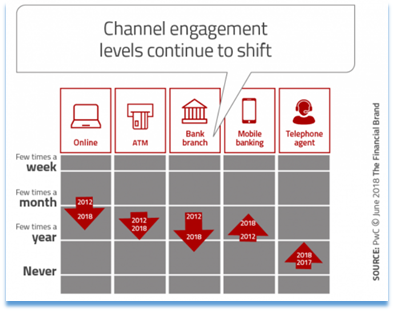 This is where you begin to see predictions regarding the decline of branch networks and the rise of online and mobile banking. Recent successes of online-only banks have fueled that discussion. But when we look at the next 20 years of financial services, it’s just not that simple. If you want to know where to spend both your marketing and technological resources, look within the demographics of the communities you hope to serve during the next 10 to 20 years. Chances are, you will find an even mix of age demographics and, along with that, comes an even mix of delivery preferences. Which delivery system is the best fit for our organization to reach its goals? Is it a branch network? Is it a strong and efficient online platform for all banking services? Is it mobile applications that seamlessly integrate with both branch and online services? The answer, like it or not, is … all the above. No delivery channel by itself is going to meet any single customer’s needs. This is true for consumers, small businesses, larger commercial accounts, investment services, and any other service you offer. It’s also true for millennials, baby boomers, Gen Xers, and any other name we could invent to slice and dice client trends. 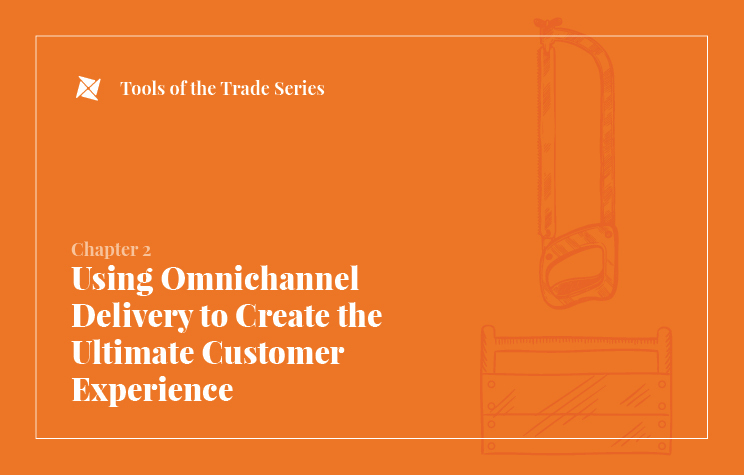 The word of the day is now omnichannel. In simple terms, this means that your organization must be able to offer a quality customer experience in every area. The current trend along these lines is clearly mobile, combined with a healthy backup phone support system. That is well-defined in a recent article from The Financial Brand referenced here. The above graph was presented in relation to consumer service deliveries. But if you want to know what your business clients want, just follow consumer preferences. After all, a business is simply a bunch of consumers working together to follow a common goal. If I am a business owner and I find a bank that has an awesome mobile experience, I am surely going to expect that same experience for my business. Community-based financial institutions should focus first on customer experience. This is true for both consumer and commercial. Ask yourself, “What do I want my customers to feel when they are interacting with my institution?” The answer is probably not confusion or frustration. 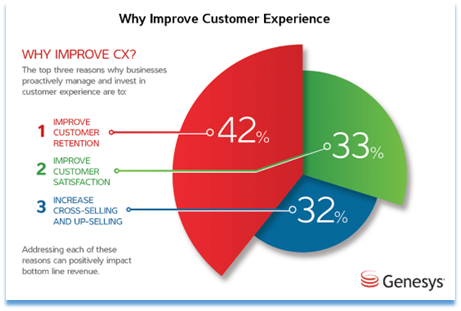 Here is the benefit of focusing on customer experience and letting that be your driver. How do you get from your present delivery channels to your desired outcome? A financial institution has the same challenges as any other business. Every day of every year it must decide how to allocate resources. Here is a five-step process to meet the allocation challenge. Let the desired customer experience drive your strategy. This is your yellow brick road or your north star. Follow it all the time. Understand the changing market demographics for your region. Then get to know their preferences better than your competition knows them. Understand who you want to serve. Really devote time to defining your target market. If you did a good job on steps one through three, the path is now simple. Build (or buy) systems that will serve your defined target market. Don’t stop with your clients. You must also make sure these same systems to support your employees. Think about specific interactions your employees have with your clients and consider whether your technology supports or threatens the success of those interactions. Chances are, the system you need to maintain will include omnichannel delivery. It will also mean that your branch system is fully integrated with mobile and online banking. As number five above states, however, don’t just look outward. You must also look inward to your employee experience. We all know the number one rule of business: The best way to ensure a quality customer experience is to have employees who are engaged, happy, and motivated to help your team succeed. If you are asking them to work on outdated or inefficient systems, they will grow frustrated. As a favorite teacher in high school always said, “This is simple, but it’s not easy.” It takes time as well as a commitment from everyone in your organization. It takes strong technology partnerships. It takes a financial commitment. But in the end, it is all worth it to know that you are fulfilling the needs of your community. Like this article? You can receive similar insights from ProfitStars® every two weeks when you subscribe to our Commercial Lending blog.